Dr. Phillip C. McGraw has single-handedly galvanized millions of people to "get real" about their own behavior and create a more positive life. His nationally syndicated television show, Dr. Phil, has been making headlines and breaking records since its September 2002 launch - when it garnered the highest ratings of any new syndicated show since the launch of The Oprah Winfrey Show 16 years prior. People magazine named Dr. Phil one of the "Most Intriguing People of 2002," while Barbara Walters included Dr. Phil in her 2002 "Ten Most Fascinating People" special. 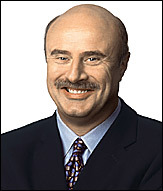 In concert with his books and television work, Dr. Phil conducts motivational seminars across America. He also provides strategic guidance for millions of Americans through his monthly column in O, The Oprah Magazine. Jay McGraw spent his adolescence learning and living his father's Life Strategies. Since he was 19, Jay has been in the forefront of teen authorities, taking his father's philosophies and translating them into language teens can understand and enjoy. He is the author of The New York Times bestseller, "Life Strategies For Teens and Closing The Gap: A Strategy for Bringing Parents and Teens Together." 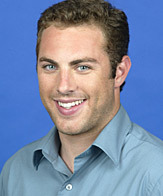 Jay works closely with his dad on Dr. Phil. His mission is to give teenagers a voice and offer parents and teens tools for better communication. Larry James highly recommends the books of Dr. Phil & Jay McGraw. The Ultimate Weight Solution - Dr. Phil McGraw - Dr. Phil wants to lead you to weight-loss freedom. He's spent more than thirty years working with overweight patients to get results that last. Now, in The Ultimate Weight Solution, he sounds his loudest wake-up call yet, giving the bottom-line truth and his unprecedented 7-Key approach to permanent weight loss. The Ultimate Weight Solution for Teens - Jay McGraw - Weight issues are one of the leading causes of teen depression. It's hard enough to be a teen, it's even harder to be an overweight teen. No one knows that better than the young people who suffer the teasing and name-calling that seem to resonate daily through their school halls. With this book, Jay addresses this and other problems in a way that they have never been addressed before. Self Matters: Creating Your Life From the Inside Out - Dr. Phil McGraw - When you look in the mirror, who is truly hiding beneath that face? In this book Dr. Phil challenges you to find your "authentic self," thinking beyond the fears and excuses that have masked the person you've always wanted to be. 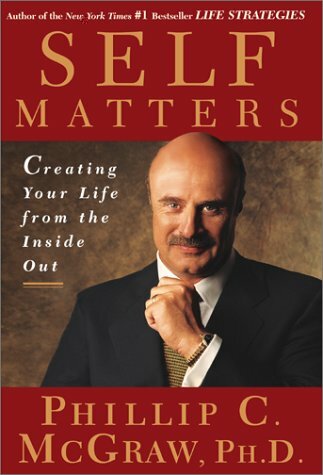 The Self Matters Companion - Dr. Phil McGraw - With The Self Matters Companion, readers will have the chance to dig deeper into the questions, concepts, and exercises that empowered them in Self Matters.